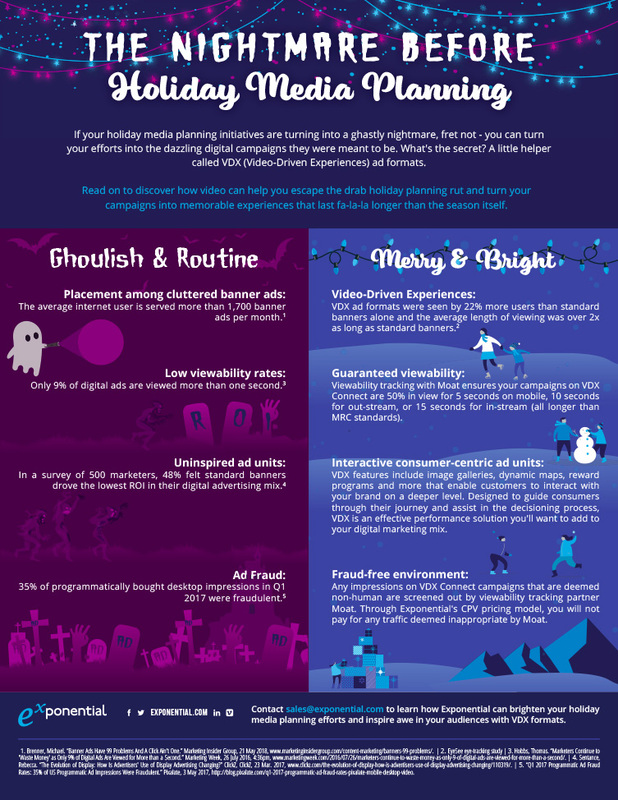 Media planners – don’t get stuck in the drab holiday planning rut this season. Avoid the nightmare and turn your efforts into memorable and dazzling digital campaigns with VDX (Video-Driven Experiences). Check out the infographic below (click to enlarge) and contact Exponential to learn more!